Give cruelly treated wild animals a second chance! All the first inhabitants of the wildlife rescue centre have a moving history. Kept illegally by private owners, they were abused in zoos as visitor attractions and before their rescue languished in tiny cages without suitable food or medical care. 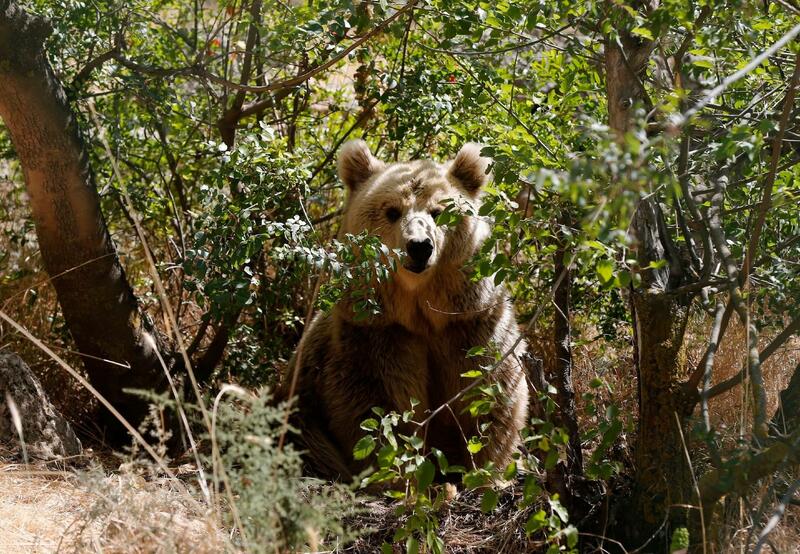 Bear Balou is a sad example: he was passed from zoo to zoo before finally being brought to the al Ma’wa New Hope Centre. For a long time, he only dared to venture out of his indoor enclosure at night. It took intensive rehabilitation work for him to be able to discard his stereotype behaviour and get used to his outdoor space. In the Al Ma’wa Wildlife Rescue Centre and his new roomy enclosure, Balou now has the chance to rediscover his natural behaviour and can even dig his own winter den.